Get Refurnished offers a fantastically innovative furniture rental service in the Ottawa area, but the website was simply not being found by the end users who could most benefit from the service. 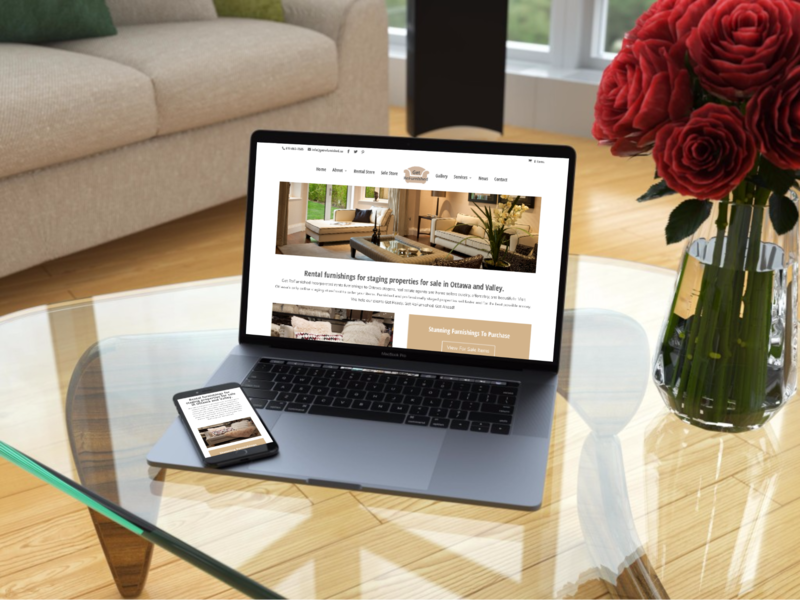 Real estate agents, home stagers, and home sellers could not locate the gorgeous inventory of rent-able furniture because of an out-of-date back-end and lack of SEO. New inventory was not being added because of a cumbersome inventory management system, so those who did manage to find the website could not view the most recent additions. | venture creative collective | was brought in to update the website on both the front and back end. Making vast improvements to the load speed, and performing substantial search engine optimization ensured that Get Refurnished would rank for key search terms. Re-configuring the front-end to be mobile optimized drastically improved the potential for the site to rank, given the steadily increasing number of users who browse the internet on their mobile devices. vcc also performed some image wizardry, to ensure the images were all displaying properly and at the correct size. The inventory management system was tweaked so that new items could easily be added to either the sale or rental store. Now, this unique service can be found quickly by those who most need to “Get ReFurnished”!